Redi Quik Signs can make menus for Columbus, Ohio, bake sales, food carts, coffee shops, drive-throughs and walk-in restaurants. Your food and drink prices can fluctuate, why not use dry erase or sliding panels to make prices easy to change. Colorful photos of your offerings are a good way to help customers decide. Make sure your menu features appetizing images that make mouths water. We keep all your designs on file so you can make updates to your menus next week, next month or next year. We understand that a behind the counter menu can make or break a food service business. It has to be clear and easy to read for the customer who may be standing there for the first time or idling in their car holding up the line. You want your menu to be stylish but not outweigh function. Let our designers come up with a layout that will accomplish both. We do charge for menu design, but it’s not as much as you might think. 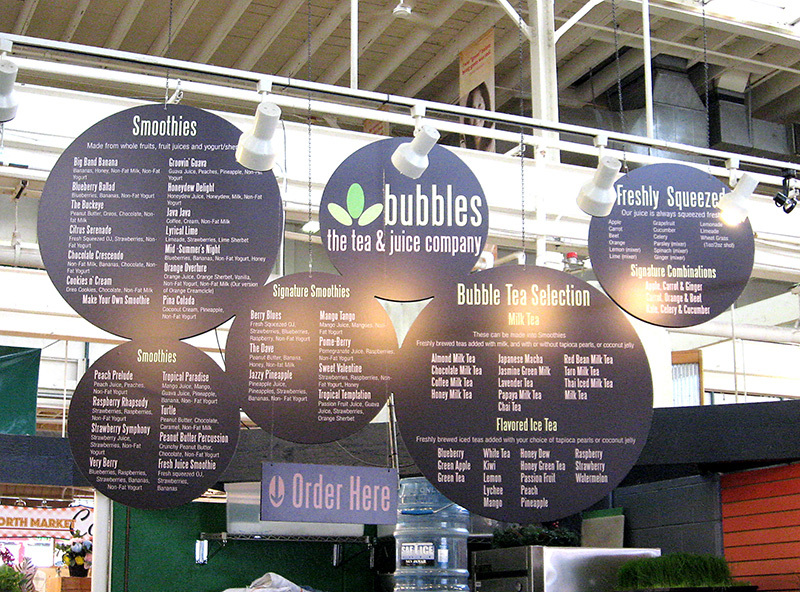 Redi Quik Signs has created menus for local restaurants like LOOPS in Grandview, The Pita Hut near Graceland, Cafe Isabella downtown and Supreme China Buffet.